Just two months after their heroics in Australia, the British and Irish Lions are back on duty this weekend as domestic rugby returns. The Premiership in England and the Pro12 in Wales, Scotland and Ireland feature 39 of the 45 players who helped the Lions to their first series victory for 16 years this summer. But the emotion and adrenaline of that incredible night in Sydney when the Lions won the decider 41-16 will have to be put to one side, as they put their minds to club matters. Reputations were formed and names were established over the course of the six weeks Down Under. Now, it means the focus will be on those players in less glamorous surroundings. Welsh wing George North certainly left a big impression on his opponents in Australia as he scored tries in two of the three tests. Now he has swapped the Scarlets in Wales for Northampton Saints and he should make his debut for his new team against Exeter this Saturday. 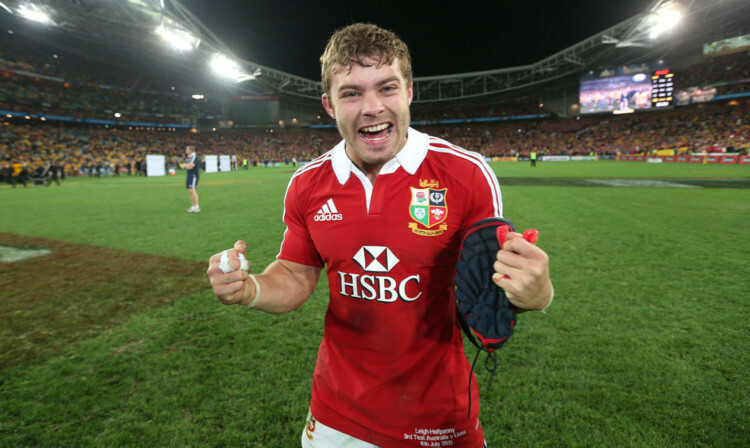 Fellow countryman Leigh Halfpenny was a kicking machine in Australia, as he booted 49 points in three matches, breaking Lions’ records for the most points in a match and a series. Halfpenny was a soothing presence at full-back and he duly collected the Man of the Series award. Unlike many of his Welsh team-mates, he has resisted the temptation to try his luck in England or France, and he has remained with Cardiff Blues. Halfpenny and the Welsh side begin their Pro 12 campaign on Friday night as they take on Glasgow Warriors, who include three of Scotland’s four Lions. It’s the beginning of nearly nine months of action as teams try to dethrone Leicester and Leinster as the respective champions.